Want to get out of debt? Is debt holding you back from doing the things you want to do like travel or start a new business? That was me, so deep in consumer debt that I couldn’t see a way to realise my dream of travelling the world. 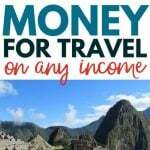 I knew people saved money to travel but I had no idea how I was supposed to save a lot of money when I was managing multiple repayments every month and barely keeping my head above water. So I did what any other debt junkie does when they want something. I used my credit card. I put almost the entire $3000 I spent backpacking around Asia for three months on my credit card. At the time I wasn’t worried, but when I returned home and struggled to find a job to pay back my outstanding balance I started to realise what a silly thing I had done. I’ve written before about the Aha! moment when I paid my credit card balance in cash at the bank and it finally dawned on me that I was spending real money not just waving a rectangle shaped dream machine around the place as I racked up debt on travel, clothes and anything else that took my fancy. ‘Hey, Emma. Don’t take this the wrong way but you’re doing some dumb stuff with money. You’re going to regret this later on, so here’s what you need to do to get back to that bright future you had planned’. Alas, nobody did so I had to figure stuff out myself. Which took a long time. I got there, though, and as I sit here working for myself from a cafe in Mexico, I realise I have now come full circle. I no longer spend nights wondering how to get out of debt. I live debt free now and it was all due to the following plan of action. If you are in a similar situation as I was, this plan may help you to pay off debt and start living your dream life. The dreaded B-word. Every debt lover’s worst nightmare. Sorry guys, you gotta have a budget. BUT budgets can be awesome too. You can add in all the categories you want, there is no need to deprive yourself. The idea is to make sure you give yourself enough money to have an enjoyable time, without needing to go into further debt. If you’re just starting out with a budget, I recommend starting simple. Pen and paper, essential expenses. I budget backwards – basically working out all my necessary expenses and budgeting around them, rather than divvying up my income. If you have more than one debt to tackle, you’ll need to figure out the best way to manage multiple payments whilst making headway into reducing the overall balance. I used the debt snowball method. Basically, you focus all your funds on paying back the smallest debt until it is cleared, then you refocus the funds you were paying towards the smallest debt along with extra funds to the next smallest debt and continue until you have no debt at all. The debt snowball method ignores interest rates and fees and goes straight to the emotional side of debt repayment which I why I love it. You get the quick wins you need to stay motivated which is why it is so successful. The other main debt repayment method is the debt avalanche, which focuses on the debt with the highest interest rate first. Whilst the debt avalanche method would save you a bunch in interest payments, to me, it wasn’t motivating enough as my largest debt had the highest interest rate. Tip: After you’ve paid back all your loans (it will happen, I promise), take the debt snowball one step further and apply the funds you had allocated to debt repayment towards building a savings account. You’ve lived without the funds for this long, so putting them towards future wealth is a smart move. Remember the first law of holes ‘if you find yourself in a hole, stop digging’. Or in the case of debt, stop spending. Maybe you’re disciplined enough to keep a credit card in your purse without touching it but I was not. As soon as I made the decision to get focus on paying back my debt I cut up my credit card. I also had a revolving credit account with a card attached which got the chop. I know the banks don’t want you to do this and it’s a grey area, but for me, it was the only way to stop digging. Increasing your income is the best way to pay back debt. For me, it was the only way. I worked three side jobs on top of my full-time corporate gig to pay back debt. I took paid surveys at night and took any opportunity to earn extra cash. 90% of earnings from extra jobs went towards debt, and 10% towards building up my savings account (see next step). Do you know what feels amazing? Having money in the bank. I used to have a wee mantra I’d spout off at any opportunity. It was this ‘I can’t save, but I’m great at paying back debt’. It was the truth. The regimen of regular repayments suited me down to the ground, I never missed a debt repayment but if I tried to save money I always ended up withdrawing it to spend within a few days or weeks. Until I decided to divvy up the income from my extra jobs and allocate 10% towards building a slush fund, I believed this to be true. The truth is this: the difference between further debt and financial security lies in your ability to save. If you truly cannot save money, you’ll never be financially secure. But here’s the thing, anyone can save money. It might not be a lot, but every dollar counts. More importantly, every dollar you save is a dollar you don’t have to borrow. If you have multiple loans and credit cards it may be worthwhile to consider a debt consolidation loan. When I came to my senses and figured the 21% interest rate on my credit card was killing me, I shopped around to compare personal loans and credit card balance transfers. I eventually switched to a personal loan with a 15% lower interest rate, which meant more of my money was going towards paying my the principal on my loans, rather than paying interest. That made a huge difference to my bottom line. Paying back just one loan can make life a lot easier. BUT, don’t even think about consolidating your debt if you don’t have a strategy to pay it back. Debt consolidation is a powerful tool, but if you don’t take the correct steps it can put you into further debt. Take it from one who knows, close all your other loan accounts and credit cards. If you’ve saved a $1000 emergency fund, you don’t need to keep an emergency credit card. 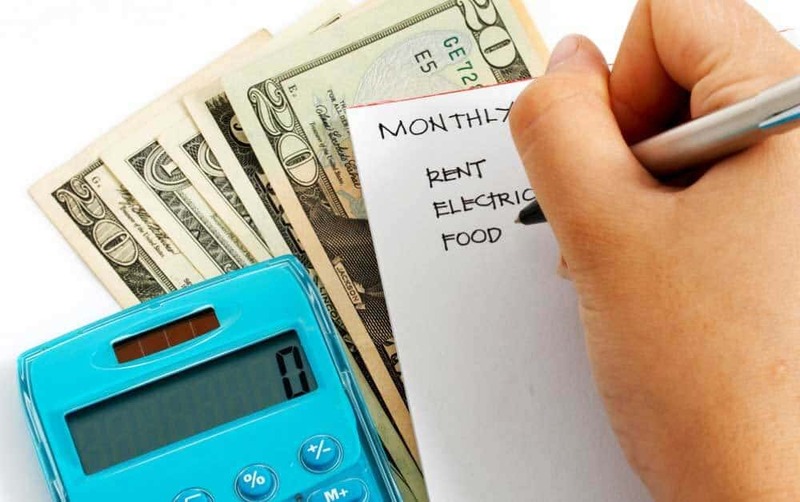 Focus on making the highest repayment you can each month. Treat yourself whenever you meet a milestone, like getting your debt under 4 figures etc. You don’t need to spend a lot of money celebrating, but I recommend adding a category to your budget for celebrations. I like to go to my favourite cafe for coffee and cake or buy a new book. Maybe go to the cinema. Recognising and celebrating progress is important to keep you going. Here’s a great list of frugal ways to reward yourself. Learning about money management is a great way to ensure you don’t go into further debt. Here are some of my favourite personal finance books for beginners, all are easy to read and jargon-free. The first step toward financial independence is becoming debt-free. If you can take the techniques you learn from paying back your loans and apply them to saving money and investing for your retirement, you’ll have a bright future ahead.